Being able to purchase and pay off your car is fulfilling; not only is it one less thing to worry about, now you can drive it as much as you want with all the freedom you can muster. However, as time goes on, the miles you and your car has travelled will continue to grow. And before you know it, it has finally hit the 300,000-mile mark. That means two things: your car has been reliable all of these years, and that you need to start taking extra care of your vehicle to get at least a few hundred thousand miles on it or more. Nothing is more dangerous than a fast-moving vehicle without brakes. We’re no experts, but a malfunctioning brake is 100 per cent likely to kill its passengers. That is why we encourage car owners to check their brakes and replace it as needed regularly. 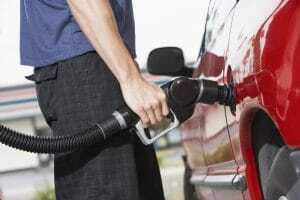 Another thing you should do is flush the brake fluids every two years and to check up on the smaller parts. Those tiny pieces may look insignificant, but you’ll be wishing you checked and replaced it when you’re on the freeway and lost control of your car. A lot of car enthusiasts prefer to do the work on their cars by themselves. After all, who needs specially trained mechanics when you have a toolbox and a Youtube video to tell you how to do the job? Now, for younger cars, (newer, whichever) a DIY project is no big deal. You upgrade a few parts, you replace a few, etc. Afterwards, you feel like a champ because you were able to do what those mechanics get paid to do. But the older the car gets, it will need a more trained eye to catch problems early on. That includes steering and suspension. Still not convinced you to need a mechanic’s help? Okay, good luck driving a car when you can’t remember if you put the bearings back in or not. Your car’s cooling system is dedicated, as the name implies, to keeping your engine cool as you go. Without the hoses, coolant, and water pump, your car is done within a matter of minutes. With that said, you need to keep your vehicle cool. 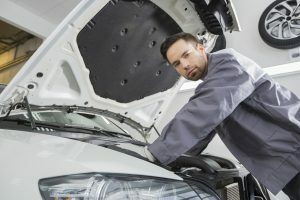 Don’t neglect your car’s cooling system. The hose that pumps the coolant experiences a lot of abuse every time you decide to go on a long road trip. It’s only fitting to get it replaced whenever you or your mechanic deem it necessary. As your car ages, the cooling system is one of the few parts that will experience it head on. So it is essential to keep tabs on it preferably every time you take it in for periodic maintenance. There are plenty of ways to take care of your car. But starting early on rather than when the vehicle is beginning to fall apart is a better option. After all, prevention is better than cure. But if you find that your car is on its last leg (tyre, whatever), it might be best to turn that in and get yourself a new vehicle through a car finance option tailor-made for you. Just remember to keep it well maintained to ensure it lasts a lot longer than your old man.